In an impassioned rebuttal to religion, a noted scientist and author of The Blind Watchmaker speaks out on his the irrationality of belief in God; criticizes the dire impact of religion on society, from the Crusades to September 11; and argues that religion fuels war, bigotry, child abuse, violence, and other ills. About: Argues that belief in God is irrational, and describes examples of religion's negative influences on society throughout the centuries, such as war, bigotry, child abuse, and violence. With Richard Dawkins | from Gardners Books (May 19, 2016); titled "God Delusion"
About: BRAND NEW, Exactly same ISBN as listed, Please double check ISBN carefully before ordering. About: In an impassioned rebuttal to religion, a noted scientist and author of The Blind Watchmaker speaks out on the irrationality of belief in God; criticizes the dire impact of religion on society, from the Crusades to September 11; and argues that religion fuels war, bigotry, child abuse, violence, and other ills. About: A preeminent scientist -- and the world's most prominent atheist -- asserts the irrationality of belief in God and the grievous harm religion has inflicted on society, from the Crusades to 9/11. 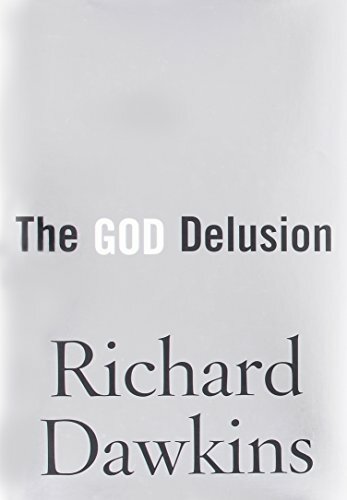 With Richard Dawkins | from Houghton Mifflin (January 16, 2008); titled "God Delusion"